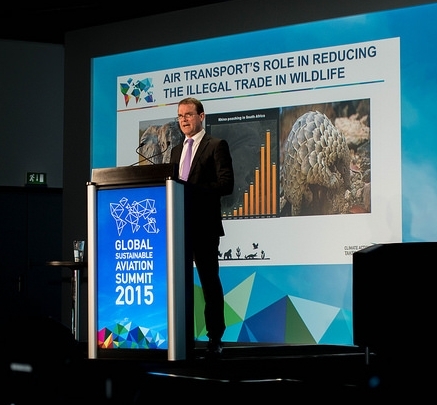 Geneva, 29 September 2015: CITES Secretary-General John E. Scanlon today attended the Air Transport Action Group (ATAG) Global Sustainable Aviation Summit 2015 held in Geneva. The event represents the entire air transport industry and combines high-level political discussions and technical breakout sessions. 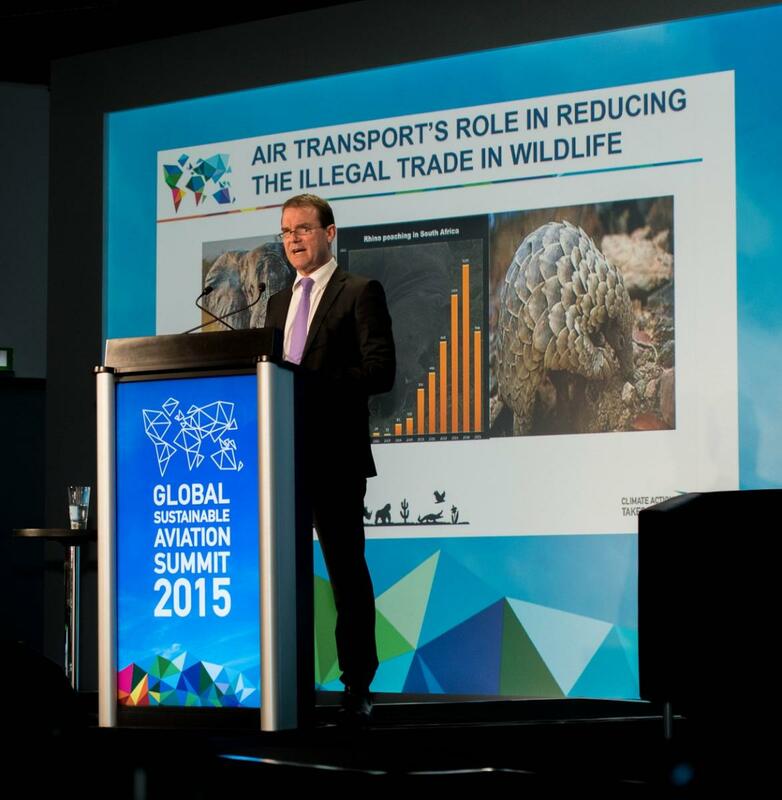 Mr Scanlon spoke and exchanged views with air transport leaders on the ‘Air transport’s role in reducing illegal trade in wildlife’. This follows his address to the International Air Transport Association (IATA) AGM in Miami in June of this year. “Transnational organized crime groups are exploiting these legitimate forms of transport to move their contraband. Illegal rhino horn and pangolin scales are often transported by air. Raw illegal elephant ivory is being largely transported by sea, whilst most illegally traded worked ivory appears to be transported by air. Illegal trade in wildlife is happening at an industrial scale, but in the context of the overall volumes of air and sea transport, we are often searching for a ‘needle in a haystack’, with only a tiny fraction of the overall cargo or passengers carrying illegally traded wildlife” said Scanlon. For enforcement efforts to be effective, Mr Scanlon stressed that enforcement agencies require good information and intelligence, which is where the transport sector can play a critical role, noting that their staff can be extra sets of eyes and ears on the ground – looking, listening and passing on information about anything that looks suspicious to relevant authorities. supporting customs and other enforcement agencies through the provision of information or intelligence gathered by staff working on the ground. This work is ongoing with the Taskforce set to complete its final recommendations in late 2015. 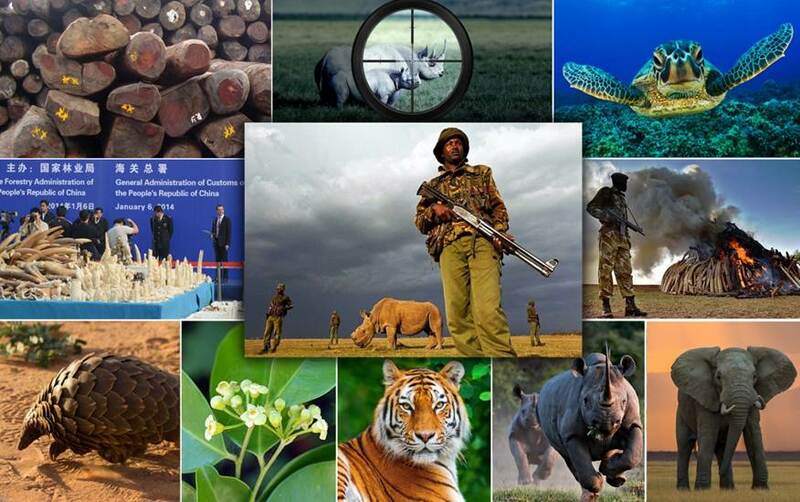 “There is a global collective effort underway across governments, the United Nations, international and national organizations, philanthropic entities, the private sector, local communities and dedicated individuals to combat illegal trade in wildlife – and just last week the UN General Assembly adopted the Sustainable Development Goals, which include specific targets on ending poaching and smuggling. The aviation community is a critical player in this endeavour, and today we reach out to each one of you to join in this global collective effort to bring these highly destructive crimes to an end” concluded Scanlon. 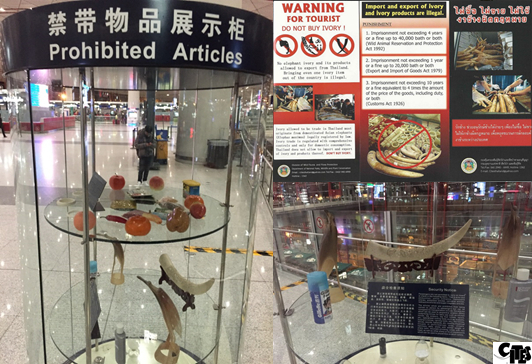 In his remarks, all airports were encouraged by Mr Scanlon to put in place prominent CITES airport displays to raise awareness amongst the travelling public of the scale and consequences of illegal trade in wildlife, and of the serious penalties that apply to trading illegally.